In today’s world, some teenagers have it so much easier. Many have the latest phones, clothes, laptops, and video games. So, why are they still sleeping on last year’s mattress, or one from many years ago? Living with an adolescent, especially when they hit that point of exponential growth, brings its own set of challenges. You'll likely find out soon that they’re in need of a new mattress so that they can get a good night’s sleep, wake up in a better mood, and hopefully pass those exams. However, buying the right one isn’t so simple, and there are large considerations such as budget. And there’s almost nothing worse than buying something that they’ll outgrow in a week or that isn’t comfortable. Therefore, we’ve carried out some research to create a guide that may help solve your problem and show you how to choose and which is the best mattress for a teenager once and for all. We hope this helps you on your mattress shopping journey! 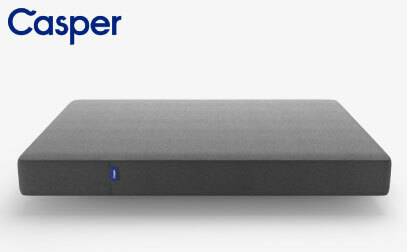 From the makers of Casper comes a streamlined, entry-level bed that has been engineered for maximum value. Its three-layer all-foam construction can reduce the development of pressure points on growing bodies without letting them overheat. This is accomplished by sandwiching a layer of memory foam between a layer of more responsive foam and the dense base layer. By placing the heat-retaining foam away from the body, the temperature of the surface can remain more neutral. The top layer’s quick-responsiveness also prevents that “stuck” feeling often associated with memory foam. What makes it special? This model is slightly thinner than Casper’s original model and is a couple hundred dollars cheaper while still retaining versatility necessary for changing habits and preferences. The Essential is also covered in a dark blue fabric that is more effective at disguising stains that result from accidental spills. It also possesses multiple safety certifications that guarantee the materials have been evaluated and judged safe for consumers. Read more about the Essential model here. 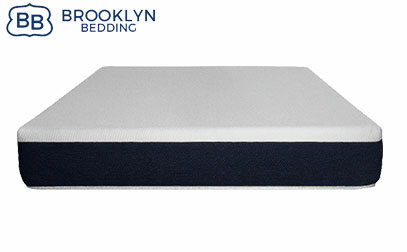 Brooklyn Bedding’s entry-level model contains the same high-performance proprietary foam in their upgraded choices, and the bed was designed to promote cool comfort with enough support to maintain a teen’s good spine alignment. Energex™ is an original formulation that was designed to deliver the body contouring and pressure relief of memory foam with the quick-responsiveness and temperature control of latex. 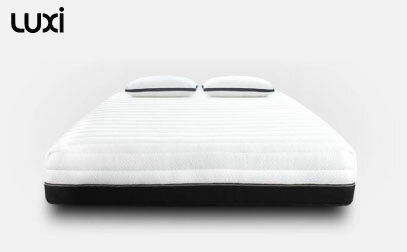 The gel infused in this unique foam carries heat away from the sleeper, and the base’s support and bounce help support the spine and ease repositioning. What stands out? Because the company owns their own factory, they are able to substantially reduce costs without sacrificing quality, durability, and safety, which makes this bed a great value in the bed-in-a-box space. This bed’s medium-level firmness is versatile and accommodative for most sleepers and positions, which is especially ideal for teens, whose bodies, needs, and preferences change over time. To learn more about tis bed, check our the full review here. Teenagers grow so quickly and their mattress needs can change seemingly overnight. The Luxi 3-in-1 offers a fully customizable mattress which can be reconfigured three different ways for three distinct feels, a potentially money-saving advantage for a growing teen. One of the bed’s layers contains unique foam pedestals that buckle under weight for pressure relief but fully support your curves for a balance that keeps the spine nicely aligned. This feature also allows air to circulate through the bed and cool it down. What makes it unique? Luxi believes that more mattresses will stay out of landfills if mattresses are tailored to individual needs and have the ability to adapt and change as much as you do. The fully-removable cover unzips and three layers within can be flipped over or reordered to make the bed either Soft, Medium, or Firm. Even better, Luxi will work with you for 1,000 nights to make sure the bed fits your teen perfectly, sending you replacement layers with different densities if required. They can also work with you before the bed ships to ensure that the bed’s base layers are supportive enough to accommodate those who are a bit heavier than average. Find out all about this bed in our in depth analysis. Dreamfoam, which is owned by Brooklyn Bedding, aims to offer more quality at an affordable price point, and we included their Ultimate Dreams Latex 10-inch mattress because of its comfort and long-term durability. Latex has been gaining ground as an alternative to memory foam for people who still want pressure relief but need a bit extra airflow, which is accomplished through its aeration. This mattress cradles your body and offers a quicker-responding surface and some bounce that makes it easy to navigate. The natural quilted bamboo cover also allows the foams to breathe. What is its best feature? This mattress contains a 3-inch hypo-allergenic Talalay latex that uses a production process that builds foam that is long-lasting and can stand up to wear and tear. 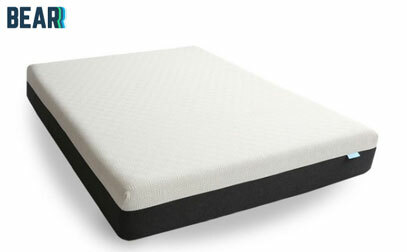 The 5.5-inch durable base foam gives the bed a sturdy and supportive foundation. When you place your order, the company reaches out to discuss which firmness will work best for your teen’s individual body type and sleep needs. This removes the guesswork for younger sleepers who may not have a lot of experience knowing what style of bed they prefer. Active lifestyles and a commitment to sports can cause a lot of wear and tear on a growing body that needs proper sleep to recover and wake up refreshed. With this in mind, Bear Mattress has included a high-performance cover with Celliant® that they believe improves recovery by boosting oxygen flow. Beyond the cover, this bed’s four foam layers are combined to create a comfortable mix of pressure relief and support, and graphite in the top layer and technology in the cover are designed to help keep the sleeper from overheating. What makes it stand out? Though clinical testing behind Celliant® is still ongoing, we are impressed with this company’s commitment to addressing the unique sleep needs of active people, and we invite you to do your own research into its long-term efficacy. The company cites research that shows infrared technology incorporated into fabric improves the body’s ability to deliver oxygen, which is crucial for muscle repair. Bear is also committed to improving the lives of children by providing better access to sporting goods and equipment necessary for children to participate in sports. Every mattress purchase is also an opportunity to give back. Check out our Bear bed review here if you want to know more before you buy. As a parent, you not only worry about what materials your teens are exposed to but you also want to teach them how to look after their environment with their purchasing choices. Those who strive to reduce their carbon footprint will love Happsy’s more organic and more eco-friendly business approach. 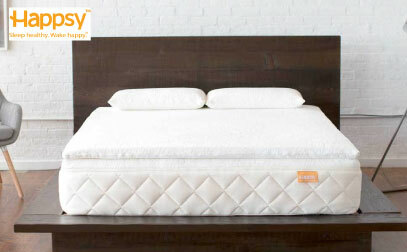 Happsy’s hybrid design has 8-inch coils topped with aerated, organic Dunlop latex, 100% pure New Zealand wool padding, and a quilted organic cotton cover. The coils are reinforced around the edges, which is convenient if your teen sits on the edge of their bed to get dressed or watch TV. What is its best feature? The company sources only sustainable comfort materials that have been certified organic by strict, third-party organizations, and the GREENGUARD Gold certification shows the bed has passed one of the industry’s highest safety standards. You might expect all of these assurances to come with a high price tag, but this mattress is very competitively priced. Happsy also continually evaluates its sources, processes, and partners to make sure that they run a clean operation that doesn’t take advantage of unfair labor. They also give back to several environmental charities. According to WinkBeds, their Plus model was one of the first in the online industry to design a mattress to comfortably accommodate sleepers over 300 pounds. Its exceptional support system uses a pocketed coil unit that uses 3 zones to provide additional support under the hips, which tend to be the body’s heaviest region, and around the edges. On the bed’s surface rests a 1-inch layer of hypersoft comfort foam tufted into the Tencel cover, which is highly breathable and more eco-friendly. Underneath this, there is a 2.5-inch pressure-relieving layer of highly durable latex comfort foam that conforms to the body’s shape. What makes it unique? While there are many mattresses on the market that can accommodate heavier weights, there is a risk that they might break down prematurely and need to be replaced. WinkBed Plus is one of the only mattresses on the market that is specifically tailored to the unique needs of heavier individuals both with design and durability. Please note that this bed has a Medium-Firm comfort level for sleepers weighing 300 pounds and above, but the mattress will feel significantly firmer for sleepers who are substantially lighter, and these sleepers may prefer WinkBeds’ flagship model. If you think this one is good for you but you need to know more about the construction, you can read more here. Arctic Dreams is the entry-level offering from Dreamfoam brand, owned by Brooklyn Bedding. Its sleek, streamlined 2-layer design offers really nice quality materials for an exceptionally attractive price. The bed’s versatile medium firmness should work well for a variety of individual body shapes. The cooling gel-infused Energex™ in the top layer is an original formulation designed to have the bounce, quick-responsiveness, and durability of latex. The base layer is a 6.5-inch layer of convoluted foam that uses an egg crate-like structure to promote airflow and keep the sleeper cool. Why did we pick it? Arctic Dreams is priced to work with most budgets, but you do not have to sacrifice sleep quality or safety. This company cuts their production costs significantly not outsourcing manufacturing, and they very generously pass on these savings to their customers. It also has dual certifications in OKEO-TEX® and CertiPUR-US®, which means that the materials and processes of making the product meet higher standards. Need a cool bed but you need to see more details? Read our full review to find out everything before purchasing. Invariably you’re going to need to consider 3 main things when deciding which mattress is best suited for your teenager. Whether they’ve shot up, grown sideways, or suddenly developed a lot of muscle, chances are their old childhood mattress just isn’t big enough anymore. From an economic standpoint, you’ve probably already worked out that it’s best to get a Twin. But what’s best for your wallet, unfortunately, might not be best for your teen, especially when their feet are hanging off the end of the bed each night! If they’ve grown tall with no indication of slowing down anytime soon, you may be best off looking at larger beds (in that case you can check out our 2019 overall bed picks), maybe even a Queen. 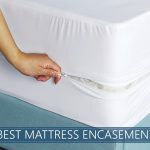 Yes, it’s going to cost more money up front, but it can be a heck of a lot cheaper than replacing both a bad and mattress after future growth spurts. From early on in life, we know which sleeping position works best for us. Therefore, to make the best choice you’ll need to find a bed that supports your sleeping position, even as teenagers. A standard position is one we have carried with us since birth, the fetal position. A bed needs to be supportive, yet comfortable, for this position. Too soft and you may find yourself rolling onto your front. Too firm, and pressure points abound. Side sleepers – you can try out a memory foam type or others that are described as soft (there are options for nearly every material type). This is one of the trickiest sleepers to find a mattress for because of the balance of pressure relief, support, and personal preference. The arm tends to get in the way when sleeping sideways, so a soft bed will ideally mold more to your shoulder/arm area. However, some side sleepers will still prefer a firmer innerspring bed. Again, preference and needs take precedent. Stomach sleepers – Sleeping on your front also requires reasonable firmness to ensure that you don’t awaken because of sinking into the mattress and feeling as though you may suffocate or are out of alignment. Choosing a firmer bed is typically better here. You need a bed that stops your spine curving too much as that can cause lower back pain, but also one that stops you sinking in too much at the chest. This can put pressure on the lungs and make it difficult to keep your head turned to the side. Back sleepers – This is the final position. You can choose either firm or soft depending on your personal preference in this position. It all comes down to how much lumbar support is comfortable to get the best night’s sleep. Make sure to check our recommended beds for back sleepers if your kid sleeps in that position 90% of the time. 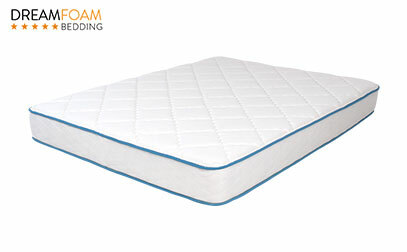 The cheapest beds are usually innerspring types, just because they are the most common ones, but there are also foam that is incredibly inexpensive. Of course, there’s still going to be a huge variation depending on brand, etc. If this is what your child is used to, then it may be a good fit for them. You can find both high quality and poor-quality ones, so be careful. Memory foam products aren’t as expensive as they used to be, becoming so wildly popular online. HOWEVER, you need to look at the quality of the cheap memory foam beds, there have been some scares in the past due to more affordable materials having more toxic components in some instances. Just look for the right qualifications, and your family can stay safe. The most expensive products are usually made of latex as they can last for over a decade, and consumers everywhere seem to rave about them. It really is important that if you decide it is worth buying given the higher price point, or that you select a size that will stay suitable for your teenager for years to come. Water beds are comfortable to some but do have a couple of risks associated with them. It’s no stretch of the imagination to realize they can be very messy. Teenagers tend not to be the most careful with their possessions, so it could burst. The comfort isn’t to everyone’s taste, and the feeling can become unpleasant for some once the novelty has worn off, making them poor long-term options for some. Nevertheless, they are an available type. You’re going to see the following three terms thrown around a lot when you’re shopping about and you’re going to want to know what these actually mean. They’re not just marketing terms! Each mattress type can have different benefits for your teenager, so it’s important to understand. Don’t worry; so much of what you need to know is here. It's important to remember that only the top couple inches are memory foam typically, and below that it is generic foam. Keep an eye out for densities, as something that is not as dense may fall short on quality. 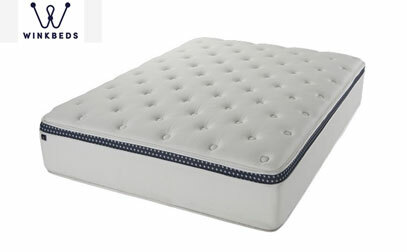 The foam supports the body well, is usually good for side sleepers, and you can find both cheap and expensive ones. It also provides great middle of the road comfort (not too hard, not too soft) making them ideal for sharing. When you sit on one side, it should support you. This is a pretty good benefit if your teenager plans to take this bed with them further through life. These are made from foamed latex but don’t confuse them with memory foam as they are quite different, especially when it comes to price. Latex tends to have hypoallergenic properties (but always check individual product descriptions) and are typically durable compared to memory foam products. They’re also one of the eco-friendliest of the 3 types we discuss if natural latex is incorporated. 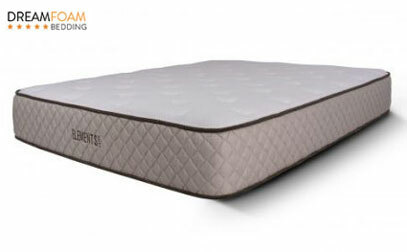 They provide the gentle support of a foam mattress, designed not to get overly hot and sweaty. The type most people are just used to. If a bed is marketed as foam but has springs somewhere in it, you can technically classify it as an innerspring regardless of the foam. This is the one most people been conditioned with, so they should feel quite natural. As you probably already know, they can take a while to break in at first, but once you’ve molded it to your sleeping position, it can become even more comfortable. They tend to feel the firmest of all the bed types in this article and last several years. There is a vast variety of prices and firmness levels, and depending on quality, there’s an innerspring mattress for every budget. Teenagers seem to have it tough, don’t they? Or so they would have us believe. The truth is though that they do have a few challenges particular to them that should be considered when selecting the perfect mattress. Most growth spurts happen in early teenage years, so if you’ve made it through that stage with the same bed, that may mean one of 2 things: your bed may no longer be fit for purpose or the growth spurt hasn’t happened yet. Either way, this is an opportune time to find a good bed to help the body relax and recover from growth spurts as they happen. Growing pains can be intense and keep people up at night. Foam and latex mattresses can be especially adept at easing aches and pains, so if growing pains or aches in general (maybe your kid is into sports) are a real problem, you can always consult these brands. The circadian rhythm is like the rhythm of life. It keeps our bodies in sync with the world around us, helps us wake up when the sun is up and makes us get tired when it gets dark. This can get disrupted when we’re around 14-15 years old, and it takes some time to adjust with puberty, and hence you’ll find them getting up later than normal and not feeling tired in the evenings. 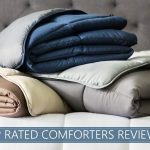 This is usual, and while new bedding might not bring that rhythm into a good cycle, it can certainly help to ensure that whatever sleep they do get, even if it’s very little, will be very restful and of good overall quality. Teenagers need 8 to 10 hours of sleep a night depending on which study you believe, but if the bed is uncomfortable and they’ve just got that new game on the Xbox, they’re more likely to stay up late anyway. A good mattress is not only going to support their body and ensure any sleep they get is deep, but fingers crossed it will encourage them to settle down that little bit earlier, too. If your kid is an athlete or simply active, you might want to consider a product with celliant fiber material to give him or her that extra boost and chance to recover before the next day comes (and we recommend you researching this material). Do you want a long-term bed or a short-term solution to a growth spurt? How does your teen sleep? Are they going to keep growing, thus meaning you may need a new frame next year anyway? And finally, your budget – are you more concerned with cost or quality? We wish you and your teenager(s) the best of luck on your mattress shopping journey. Don't hesitate to leave us a comment below!